About Us - Re-Born Automotive, Inc.
Vincent Vierck, along with his wife Becky, opened Re-Born Automotive in Portland, OR in 1983. Vince has been working on European vehicles since he was still in high school. He has always had a passion for the auto repair industry, and he wanted to help the people in his community by providing them with quality, dependable, trustworthy auto repairs and services. For the past 34 years, Re-Born Automotive has specialized in providing quality repair and maintenance services for both European and Asian vehicles. In addition, we've been working on select late model domestic vehicles since 2012. Our certified technicians stand behind all of our repairs and services with an industry-leading warranty, removing any worry you may have otherwise experienced at other auto repair facilities. Currently, Re-Born Automotive has three Master ASE and two ASE Certified technicians. In addition, both Vince and Becky are AMi Graduates. We are an Oregon Eco Biz certified and ASE Blue Seal Facility. We are also members of other auto repair associations, including ASA, AAA, NATA, and NFIB. Our technicians have many years of experience and training in providing quality repairs and services for most makes and models, including vintage British vehicles, and use only the latest equipment. 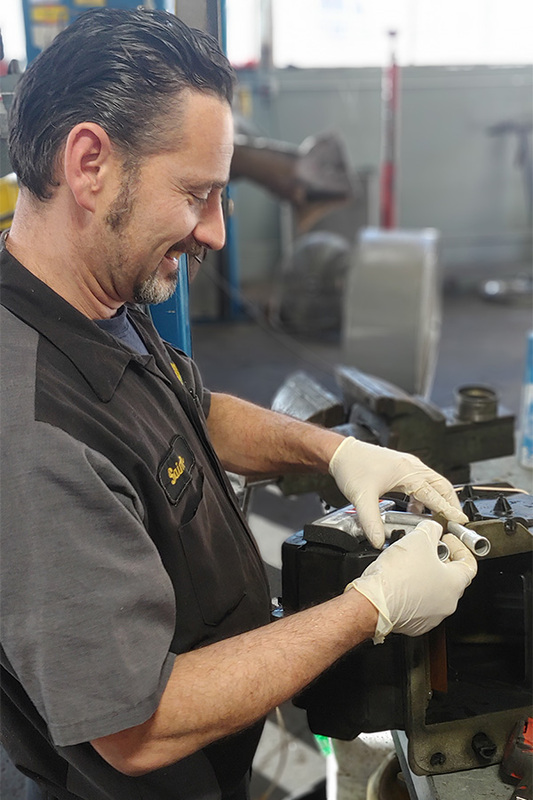 When you visit our shop, our technicians are happy to answer all of your questions, and they'll guide you through each step of your vehicle’s the repair process. They'll show you why we are the leading auto repair shop in Portland, OR! At Re-Born Automotive, we're just a bunch or regular and honest folks, who have been servicing the greater Portland area for 34 years and counting. We have a convenient location, awesome lobby area, and offer a free courtesy shuttle to our clients. Visit or call our facility today, and see for yourself why Re-Born Automotive is the premier auto repair shop in Portland, OR! Vince and Becky Vierck opened Re-Born Automotive in 1983. Vince has been working on European cars since he was in high school and has a passion for anything with wheels and has always strived to take the automotive industry to new levels and with Becky’s creativity it’s interesting at the shop. Vince and Becky both enjoy spending time with their kids, grandkids, camping and working their property. Vince enjoys building Craftsmen era furniture in his wood shop at home. They both enjoy music and festivals with the occasional craft brew thrown in the mix. If you don’t see them at the shop, they’re probably home working on some home improvement project. Cliff joined Re-Born Automotive in 1988 and is an ASE-certified master technician and the shop manager. He has extensive experience with Japanese and European cars. Cliff now spends his time in the office as our Service manager, taking great care of our technicians and customers. His fun personality and knowledge keep things running smooth and he consistently works hard to exceed our customer’s expectations. Cliff lives in Vancouver with his longtime girlfriend and enjoys golfing, riding his motorcycle, cooking and working in his yard. Dave comes to Re-Born through our merge with The Import Garage in 2005. Dave is an ASE Certified Master Technician and L-1 certified. Dave is very strong in the repair of Japanese cars and is regarded as one of the finest Vintage British car technicians in Portland. He takes great pride in scoring 100% on all his ASE certification tests. He is a wealth of information, and you’ll never catch him at breaks or lunch without reading the latest automotive trade magazines. Dave lives in Gresham with his wife and enjoys NASCAR, gardening and going to county fairs. Saimir brings incredible work ethics and mechanical ability to our team since 2001. He is ASE certified and has strengths in both European and Japanese car service and repair. He takes great pride in his work and his ability to get the tough stuff completed, always done right and when promised. Saimir has been restoring a beautiful 72 VW Camper Bus, painted lime green with big whitewalls. The engine rebuild was recently completed and he and his wife now enjoy camping trips in this sweet ride. Saimir lives in Gresham with his wife and herd of cats. 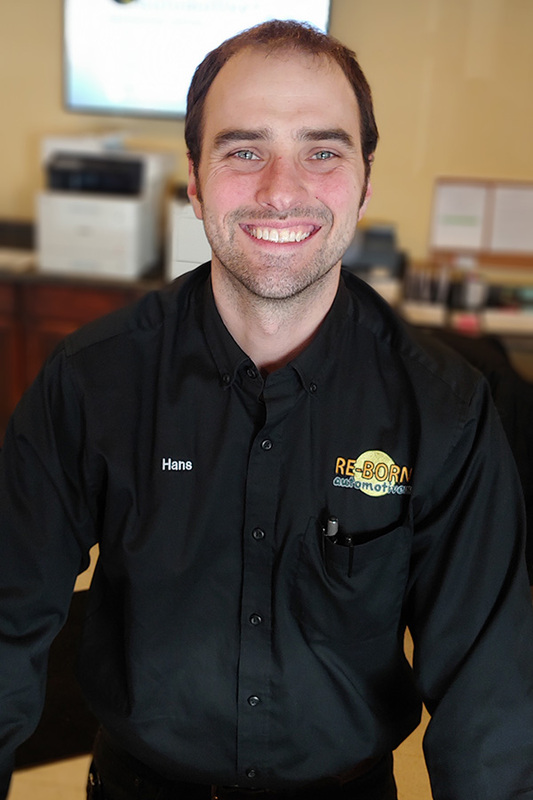 Hans joined Re-Born Automotive in 2010 bringing his natural mechanical ability and diagnostic reasoning skills to our team. 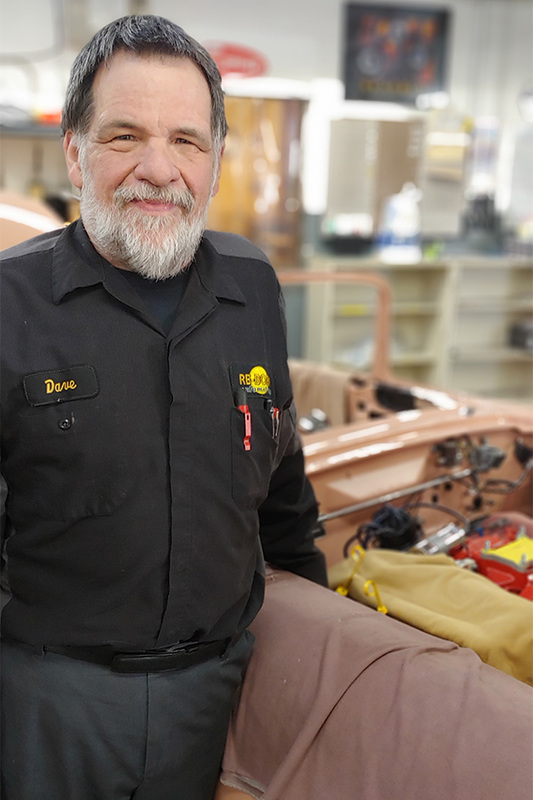 Hans grew up in the automotive industry and was always taking things apart and fixing them, he rebuilt his first VW bug carburetor at the age of five. He has a gift with anything mechanical and has become one of the finest ASE Certified diagnostic technicians in Portland. Hans loves spending time with his wife, 2 beautiful daughters and their dog Lily. Hans enjoys being a mechanic and has a great future ahead of him, we’re fortunate to have him on our team. Pat is the guy to keep the shop clean, and has worked for Re-Born since 2003. He takes great pride in keeping a clean shop and organizing. As Pat puts it, “Someone has to do it, you guys are lucky you have me.” he likes going to Blazer games, playing golf, and playing the drums at his church. He rides his bike and has bus transfers to work and is never late, often arriving 30 minutes early. He has a special gift of giving you a “Hard Time”; he takes extreme pleasure in doing so. Pat lives in Portland with his cat Jenny 2 and appreciates his sister very much. Looking for an honest mechanic in Portland?